The page for Shane’s Rib Shack menu prices. Shane’s Rib Shack is a fast casual restaurant specializing in BBQ, in particular Southern style side dishes, hand chopped pork and chicken, and slow cooked baby back ribs. The restaurant currently has locations in 11 states, though most of the restaurants are in Atlanta, Georgia. Below are the latest Shane’s Rib Shack menu prices. The Shack opened for business in 2002 with Shane and Stacey Thompson picking an old shack by the roadside by Highway 55 off McDonough, Georgia as the location. Right from the beginning, the BBQ sauce that Shane’s grandfather created was included in the recipes. Since its inception, Shane’s Rib Shack has become one of the fastest growing BBQ restaurants in the US with more than 85 locations by 2008. Among their most popular offers are the Shack Sampler, Full Rack Ribs, BBQ Chicken and pork. Guests may also order the “Big Dad” sandwich or maybe some chicken salad or BBQ Chicken. If you’re in the mood for some drinks, there’s iced tea, lemonade or fountain beverages, and they have cobblers, cookies and brownies for dessert. The Shack also has several salads like Shack Salad (BBQ Chicken), the Chicken Tender Salad and more. You can also give their wings (smoked or traditional) a try, and 3 to 6 piece tenders are available too. 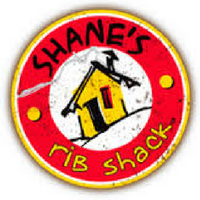 For more information about Shane’s Rib Shack, visit their official website.